Selihova Marianna Valerievna – Ph.D. Senior Researcher, Consultant Neurologist. Zalyalova Zuleikha Zalyalova – MD, professor of neurology and rehabilitation at Kazan State Medical University, head of the Republican Clinical Diagnostic Center extrapyramidal pathology and Botulinum. Bagdanova Nailya Iskanderovna – Post-graduate student of the department of neurology and rehabilitation a tKazan State Medical University. Address: Str. Butlerova 49, Kazan, Republic of Tatarstan, Russia, 420012. 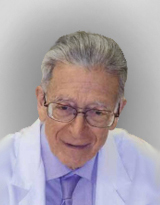 Avakyan George Gagikovich – MD, PhD, Department of Neurology, Neurosurgery and Medical Genetics. Address: ul. Ostrovityanova, d. 1, Moscow, Russia, 117997. Houlden Henry – Professor of Neurology, Head. Laboratory of Neurogenetics. Address:Queen Square, WCN 3BG. 1. Aver'yanov Yu.N., Mel'nichuk P.V., Nechkina N.P. Zhurnal nevropatologii i psikhiatrii im. Korsakova. 1987; 6: 835-840. 2. Bobylova M.Yu., Il'ina E.S., Piliya S.V., Mironov M.B., Vasil'eva I.A., Kholin A.A., Mikhailova S.V., Petrukhin A.S. Lechashchii vrach. 2006; 5: 22-27. 3. Golubev V.L., Sukhacheva O.V. Nevrologicheskii zhurnal. 2004; 1: 51-57. 4. Davidenkov S.N. Clinical lectures on nervous diseases [Klinicheskie lektsii po nervnym boleznyam (In Russian)]. Leningrad. 1956; 2: 119-130. 5. Ekusheva E.V., Artem'ev D.V. Nevrologicheskii zhurnal. 1999; 2: 30-35. 6. Zalyalova Z.A. Secondary extrapyramidal disorders, clinical and MRI characteristics. Dr.diss. [Vtorichnye ekstrapiramidnye narusheniya, kliniko-MRT-kharakteristka: Avtoref. diss. … dokt. med. nauk (In Russian)]. 2005; 24 s.
7. Zalyalova Z.A. Paroxysmal dyskinesia. According to the materials of the National Congress on Parkinson's disease and movement disorders. Guidelines for doctors [Paroksizmal'nye diskinezii. Po materialam Natsional'nogo kongressa po bolezni Parkinsona i rasstroistvam dvizhenii. Rukovodstvo dlya vrachei (In Russian)]. 2011; 413 s.
8. Kul'kova E.F. In the book: Collection of scientific works dedicated to the 30th anniversary of medical-pedagogical activity SN Davidenkov [V kn. : Sbornik nauchnykh rabot, posvyashchennyi 30-letiyu vrachebno-peda gogicheskoi deyatel'nosti S.N. Davidenkova (In Russian)]. Leningrad. 1941; 50-60. 9. Levin O.S. Paroxysmal dyskinesia. Extrapyramidal disorders: Guidelines for diagnosis and treatment. Ed. VN Stock, IA IvanovaSmolenskaya, OS Levin [Paroksizmal'nye diskinezii. Ekstrapiramidnye rasstroistva: Rukovodstvo po diagnostike i lecheniyu. Pod red. V.N. Shtoka, I.A. Ivanovoi-Smolenskoi, O.S. Levina (In Russian)]. Moscow. 2002; 375-389. 10. Lobzin V.S. Voprosy psikhiatrii i nevropatologii. 1962; 9: 489-496. 11. Selikhova M.V. Vestnik rossiiskoi Voennomeditsinskoi akademii. 2013, 4 (44): 94. 11. Selikhova M.V. Paroxysmal dyskinesia. In Proceedings of the III National Congress of Parkinson's disease and movement disorders. Guidelines for doctors [Paroksizmal'nye diskinezii. Po materialam II Natsional'nogo kongressa po bolezni Parkinsona i rasstroistvam dvizhenii. Rukovodstvo dlya vrachei (In Russian)]. Moscow. 2014; 413 s.
12. Bhatia K.P., Marsden C.D. The behavioural and motor consequences of focal lesions of the basal ganglia in man. Brain. 1994; 117: 859-876. 13. Bruno M.K., Hallett M., Gwinn-Hardy K., Sorensen B., Considine E., Tucker S., Lynch D.R., Mathews K.D., Swoboda K.J., Harris J., Soong B.W., Ashizawa T., Jankovic J., Renner D., Fu Y.H., Ptacek L.J. Clinical evaluation of idiopathic paroxysmal kinesigenic dyskinesia: new diagnostic criteria. Neurology. 2004; 63: 2280-7. 14. Chen W.J., Lin Y., Xiong Z.Q. Exome sequencing identifies truncating mutations in PRRT2 that cause paroxysmal kinesigenic dyskinesia. Nat Genet. 2011 Nov 20; 43 (12): 1252-5. 15. Demirkiran M., Jankovic J. Paroxysmal dyskinesias: clinical features and classification. Ann Neurol. 1995; 38: 571-579. 16. Gardiner A., Kailash P.B., Stamelou M., Russell C.D., Manju A.K., Susanne A.S., Wali G.M, Counihan T., Schapira A.H., Spacey S.D., Valente , Silveira-Moriyama, Teive H.A.-G., Raskin S., Sander J.W., Lees A., Warner T., Kullmann M.D., Wood, Michael H., Houlden H. PRRT2 gene mutations: from paroxysmal dyskinesia to episodic ataxia and hemiplegic migraine. Neurology. 2012 Nov 20; 79 (21): 2115. 17. Jarman R. Paroxysmal Dystonic Choreoathetosis: Clinical Features and Investigation of Pathophysiology in a Large Family. Movement Disorders. 2000; 15 (4): 648-657. 18. Kertesz A. Paroxysmal kinesigenic choreoathetosis.An entity within the paroxysmal choreoathetosis syndrome. Description of 10 cases, including autopsied. Neurology. 1967; 17: 680-9. 19. Lance J.W. Familial paroxysmal dystonic choreoathetosis and its differentiation from related syndromes. Ann Neurol. 1977; 2: 285-93. 20. Lees A.J. Odd and unusual movement disorders. J Neurol Neurosurg Psychiatry. 2002; 72. 21. Mount L.A., Reback S. Familial paroxysmal choreoathetosis: Preliminary report on a hitherto underscribed clinical syndrome. Arch. Neurol. Psychiatr. 1940; 44: 841-847. 22. Plant G.T, Williams A.C, Earl C.J., Marsden C.D. Familial paroxysmal dystonia induced by exercise. J Neurol Neurosurg Psychiutry. 1984; 47: 275-279. 23. Rainier S., Thomas D., Tokarz D., Ming L., Bui M., Plein E., Zhao X., Lemons R., Albin R., Delaney C., Alvarado D., Fink J.K. Myofibrillogenesis regulator 1 gene mutations cause paroxysmal dystonic choreoathetosis. Arch. Neurol. 2004; 61: 1025-1029. 24. Rülf J. Der Familiare Rindenkrampt. Arch. Psychiat. Nervenkr. 1913; 52: 748-779. 25. Silveira-Moriyama L., Gardiner A.R., Meyer E., King M.D., Smith M., Rakshi K., Parker A., Mallick A.A., Brown R., Vassallo G., Jardine P.E., Guerreiro M.M., Lees A.J., Houlden H., Kurian M.A. Clinical features of childhoodonset paroxysmal kinesigenic dyskinesia with PRRT2 gene mutations. Dev Med Child Neurol. 2013 Apr; 55 (4): 327-34. 26. Shaw C., Haas D.S., Miller D., Delahunt J. A case report of paroxysmal dystonic choreoathetosis due to hypoglycaemia induced by insulinoma. J. Neurol. Neurosurg. Psychiatry. 1996; 61: 194-195. 27. Suls A., Dedeken P., Goffin K. Paroxysmal exercise-induced dyskinesia and epilepsy is due to mutations in SLC2A1,encoding the glucose transporter GLUT1. Brain. 2008; 131: 1831-1844. 28. Wang J.L., Cao L., Li X.H., Hu Z.M., Li J.D., Zhang J.G., Liang Y., San-A, Li N., Chen S.Q., Guo J.F., Jiang H., Shen L., Zheng L., Mao X., Yan W.Q., Zhou Y., Shi Y.T., Ai S.X., Dai M.Z., Zhang P., Xia K., Chen S.D., Tang BS Identification of PRRT2 as the causative gene of paroxysmal kinesigenic dyskinesias. Brain. 2011; 134: 3490-8.